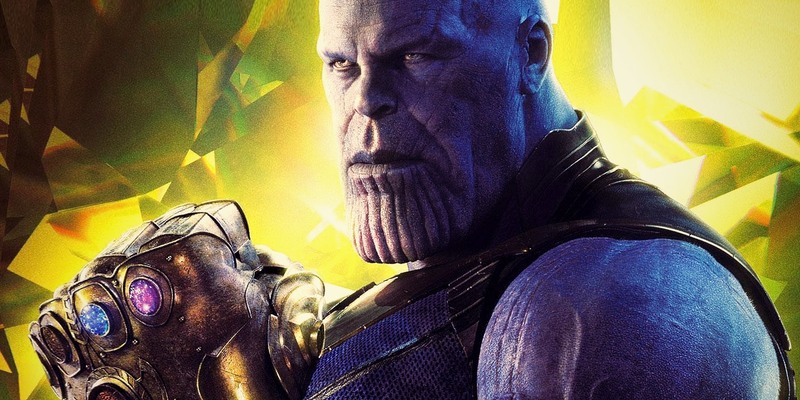 Thanos is coming for the Infinity Stones of Marvel's movie universe in Infinity War, but they're not the same as the comic book versions they're based on. It can't be said if the changes will be an improvement or disappointment just yet, or how changed the final Infinity Stones will be from the Infinity Gems of the comics. After all, we know that the Infinity War movie isn't following the comic story at all. But that doesn't mean fans have to wait to find out what powers the Infinity Stones will give Thanos. To help fans prepare for the collection of Infinity Stones in Avengers 3, we're breaking down the versions introduced in the MCU thus far. What we know, what powers they've been shown to possess, and if the comic book Infinity Gems they're based on are more or less powerful. The arrival of Thanos may shock the Avengers, but the Stones themselves won't catch fans off guard - provided they do their homework. With one last potential SPOILER warning, here's How Marvel's Infinity Stones Are Different From The Comics. The first Infinity Stone to appear in the MCU, the Space Stone was mistaken for a different artifact, thanks to the matrix containing it - in the form of a cube. Originally referred to as a Cosmic Cube and sought out by Red Skull, even the mad scientists seemed to only grasp that the Cube was a source of cosmic power. They could use it as such, and power weapons and explosives with its energy. But it was only in The Avengers when it was used to "open a doorway" across space - first for Loki, then later the entire Chitarui army. As shown in trailers for Infinity War, Thanos will also be using the Space Stone to open portals from and to wherever he wishes, barring unknown limitations. In the comics, things are very different... and more confusing than other Stone. Mainly because there are Marvel artifacts called Cosmic Cubes that have nothing to do with the Infinity Stones. Thanos will be crushing the Cube/Tesseract in Infinity War to take the Stone within, and THAT we can compare more easily. The comic book version of the Space Gem is purple, not blue, and teleportation was the simplest use. It can also be used to move the wielder through space faster than thought, effectively granting super-speed. It also allows the wielder to appear in several places at once, exist in several places at once, and when combined with the other Infinity Gems at its full power, allow its wielder to exist in ALL places at once. Not to mention manipulate the physical location of people, objects, and planets in any way imaginable. The MacGuffin of choice for the Guardians of the Galaxy movie, the artifact being referred to as an item of "power" is perfectly broad and unspecific. It's also the first time Marvel movie characters understand that the Infinity Stones can't be wielded by just anybody. Massive beings like the Celestials could, and entire planets were burned to ash in moments due to its power. Its power as a weapon, specifically (with the raw energy spewing from it unleashed, more than directed). In the comics, the red Power Gem was a bit less volatile, lending the one who possessed it amplified power-- as in raw strength, not uncontrollable energy. Before its true origin and power was known, the Gem could even boost strength subconsciously. When Thanos completed his Infinity Gauntlet, using the Power Gem to access the full potential of the others combined, he was nearly unstoppable. In his fight with the Avengers, he actually claimed to only use the Power Gem to give the heroes a fighting chance, such was his already-superior physiology and lethality. He also had the knowledge to access every power that ever was, or ever will be (as in superpower, not just cosmic force). Aside from being a dark orange/amber in the comics, the Time Stone established in Doctor Strange is the least changed from its comic book counterpart (at least concerning the powers exhibited so far). The power to control time, shifting it forward or backward to either destroy or create, and the ability to trap enemies in an endless time loop cover most of its abilities. Combined with the other Gems the other powers could usually be granted another dimension to spread their effects. Create a portal through time, gain knowledge, presence, or change reality through all time at once, for example. The main difference as can be inferred from its presentation in Doctor Strange, is that the Time Stone is also too powerful to be wielded in its bare form by everyday humans. It would appear that the first Sorcerer Supreme, Agamotto devised a way to access and control the Time Stone using the mystic arts as a safety buffer. For a creature like Thanos though, such manipulations and spells are likely meaningless.